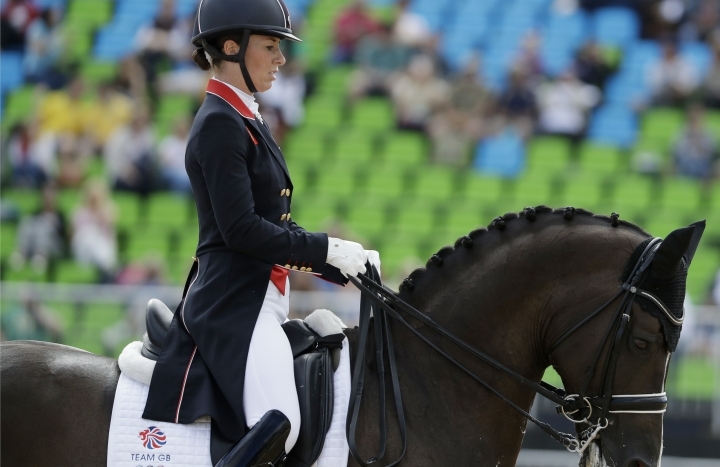 RIO DE JANEIRO — Horses may not be psychic, but Charlotte Dujardin believes Valegro is close to it. 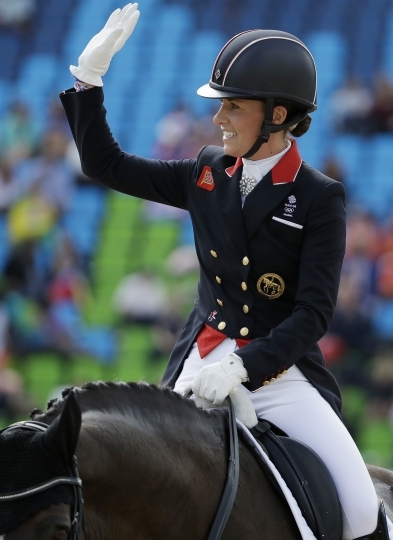 Dujardin, a defending champion in two events, helped the British dressage team take second place after the second half of the grand prix at the Rio Olympics on Thursday with a score of 85.071 percent. 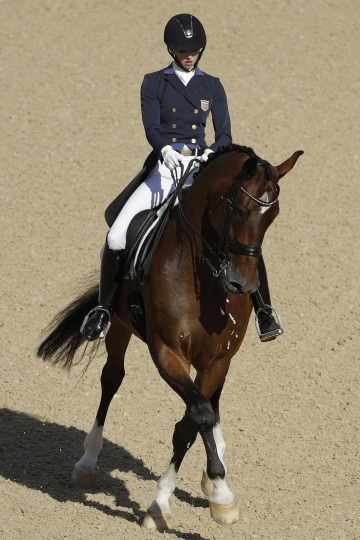 "Going in there today was all about going in there and enjoying it," Dujardin said. "That was the biggest thing. I watched a lot of people look very white and nervous yesterday. I thought it's my absolute passion, I've got the horse of my life, I've got the top trainer ... I've got everything, I thought I've got to go out there and I've got to enjoy it. "I can honestly say I came out there with a huge smile on my face. I was smiling before I even went in there. I can't help but smile when I ride Valegro; I think something and he does it. I laugh and I think "god how does he know, I didn't even ask, I just thought it."" 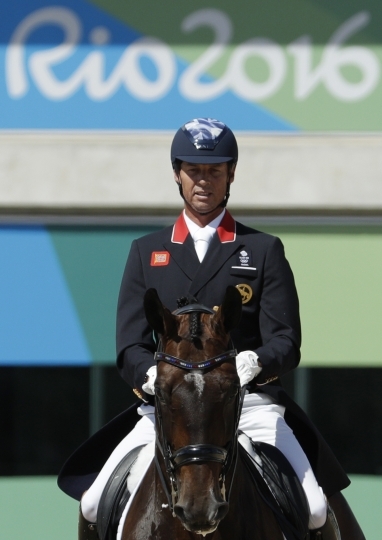 Earlier, teammate Carl Hester's horse got spooked. Although the duo recovered, it left the British foursome — which also included Spencer Wilton and Fiona Bigwood — in second at the end of the day, at 79.252. 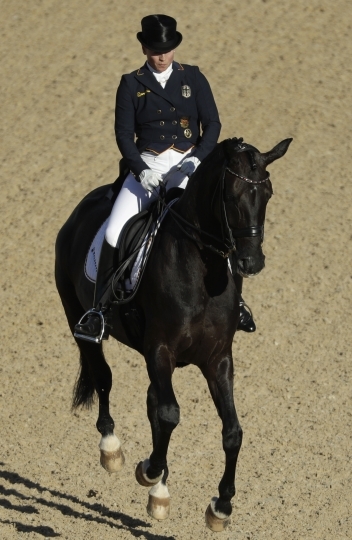 The German team of Isabell Werth, Kristina Broring-Sprehe, Sonke Rothenberger and Dorothee Schneider leads at 81.295. The results are calculated using the average of the three best riders' scores from each nation. The six best teams advance to Friday's Grand Prix Special, where the team medals are decided. "We're catching them up," Dujardin said. 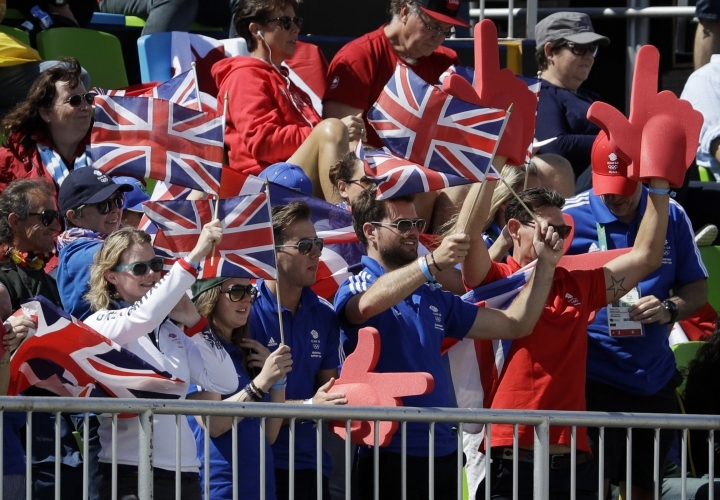 "I don't think it will be possible for gold but we're going to give it a go. We've all been in the arena once, tomorrow will be better for some of us." The United States is third, less than 1 percent above the Netherlands. Sweden and Denmark have also qualified for the team final. 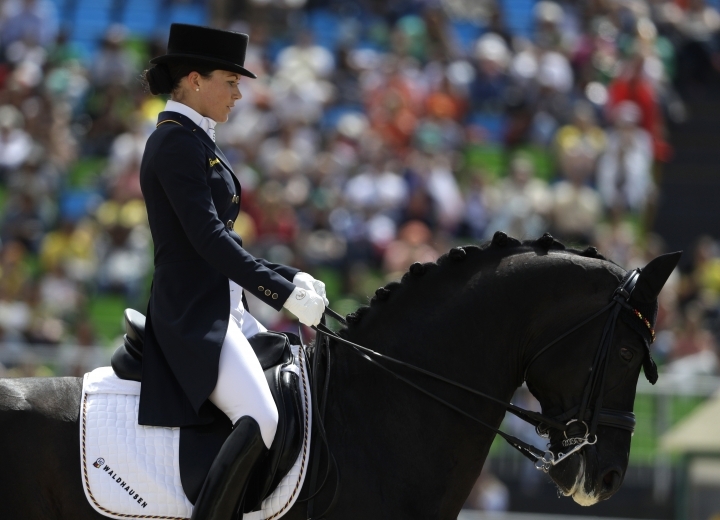 The individual medals are awarded Monday after the Grand Prix Freestyle, where the top 18 riders from the first two grand prix pick their own routine to perform with music. Dujardin is enjoying life in Rio away from the arena as well. The London Olympics, where she won team and individual gold, were her first games and she didn't stay in the village. This time the 31-year-old is relishing the full experience. "Sometimes you forget that you're actually here to compete," she said. "We're having such a good time, especially in the village, when you're amongst the world's best athletes and you're like, 'Oh my god, there's Nadal; oh, my god, there's Andy Murray; oh, my god, there's Serena Williams.' ... It's so cool. I'm star struck. I don't get star struck, but I am honestly star struck in there. "And there's different shapes and sizes of people. People's thighs that I didn't even think they could get that big. It's brilliant, I'm having such a good time. I've been pin swapping, that's my cue. I go in there and I'm like 'have you got a pin?'" 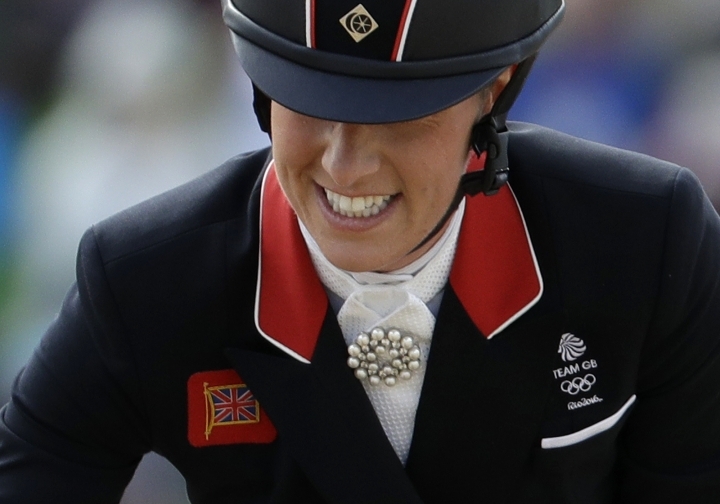 Dujardin, who admits her horse is "a pig like me," was also incredulous about the food available in the village. "The food hall is insane," she said. "It's huge! I think we're going to come away gaining weight! "The queue for McDonalds every day! By 5 o'clock they've sold out of burgers, it's queuing out the door, it's ridiculous. But I'm loving it, I'm loving it." Copyright © 2015 - 2019 Sport Solid. All Rights Reserved.